You are looking for a hightech gadget or a survival tool? With a Swiss army knife you get it all and even more. We have 444 different Swiss army knives in our store. 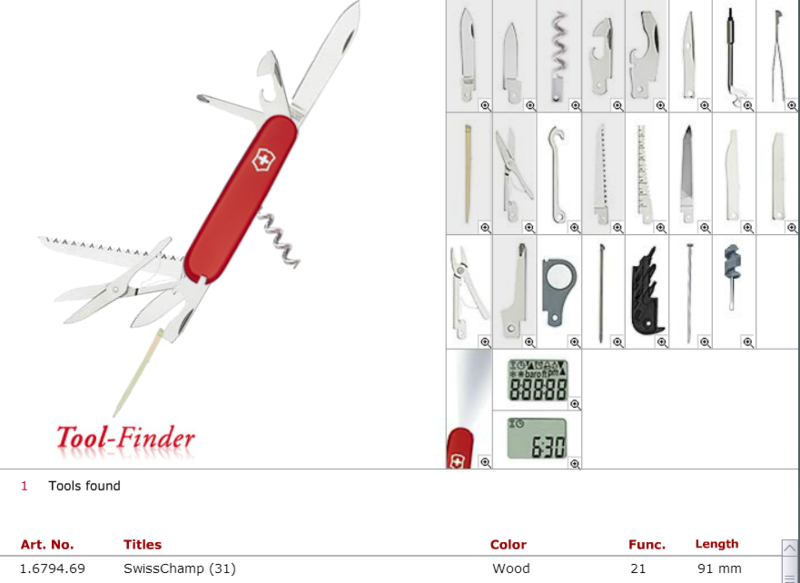 To find the right one for you, we suggest you try the Victorinox Toolfinder. Swiss army knives are renowned for their quality. Personalize your gift. At Casagrande you can get your Swiss Knife engraved right at the spot. And the best: If the knife is purchased at our shop engraving is free of charge (for knives from CHF 14.00. Some knives cannot be engraved due to their material).